This Saturday 15th July the 750 Motor Club will be exhibiting at the French Car Show at Donington Park with four cars and drivers giving passenger laps. Thinking of making the move from track days to racing? 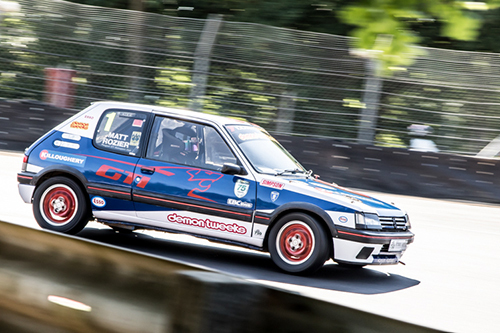 Ever wondered how fast a two-time Classic Stock Hatch Champion can pedal a 205 GTi around Donington? Want to experience the pace of a Clio 197 or 200bhp/tonne Saxo from Hot Hatch, or our Clio 182 Championship from the passenger seat? Then come and find us outside garage 5 & 6 to sign up. Tickets are £20 on the gate at Donington, with under 16s free. Find out more at the link here, and see you there!